But the beloved game on Saturday night, Mar. 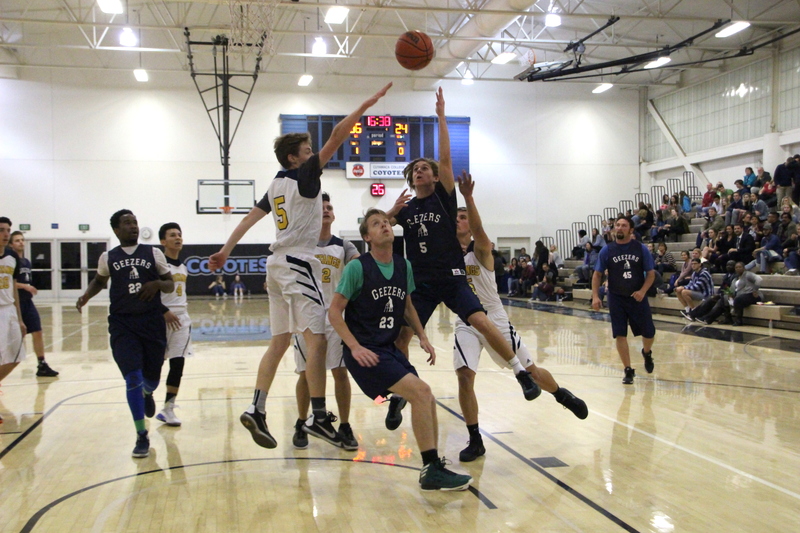 17 was an extra special occasion – an especially bittersweet one for those who grew up playing HCS basketball. Program director and league co-founder Judy Beckmann has decided to step down after ten years of service. In between the boys and girls game, coaches and colleagues presented Beckmann with flowers, cards and tokens of appreciation while sharing the story of the league’s growth to a crowd of families who know the story well already. “She set up all these things so that the program could be excellent and our students could play at a high level,” said former HCS coach Terry Shimamoto. HCS joins the ranks of other homeschool and private school organizations who are unable to compete in CIF sanctioned events. Beckmann sought to take care of that. Nearly a decade ago, she took the struggling HCS basketball team and cultivated a league, Breakaway, for them to play in, with the help of current league director Jennie Harris. What began as two schools, HCS and Christian Life Academy, has turned into a seven-school conference with an additional half-dozen schools who participate in non-conference games, each providing multiple varsity and junior varsity teams. Beckmann said she never dreamed the league would blossom the way it has. There are also 14-under, 12-under, 10-under and K-4th grade teams, which provides a healthy pipeline for the JV and varsity programs. HCS freshman Emily Stormoen is one of six siblings who have played Mustang basketball. HCS alumnus, class of 2012, Ben Schiwitz joined the “Geezers” on the court on Saturday after being asked to fill in for someone. Schiwitz, who played varsity with the Mustangs for two years, said the league gave him an experience he had never expected to get as a homeschool student. But the league has done more than create athletes, said Schiwitz, and Beckmann has been at the helm of shaping an entire generation of young people. HCS freshman Victoria Marshall, who played on the 14-under league last year, said the Beckmann has been a personal inspiration for her. Beckmann was also the mind behind the varsity trophies, passed between winning schools each year to encourage school spirit and healthy rivalry between programs. She also facilitated the highly anticipated championship and alumni games that take place at the Cuyamaca College gym at the end of every season. As eyes in the gym began to water, Shimamoto concluded his comments and thanks to Beckmann with an anecdote.